The Mercure Villeneuve Loubet Plage hotel boasts a unique location in the heart of the Côte d'Azur, in the prestigious Marina Baie des Anges district between Nice, Antibes and Cannes. Enjoy a panoramic bird's eye view of the sea from the terrace around ou r swimming pool. Choose our beachfront hotel in a California-esque setting surrounded by palm trees. 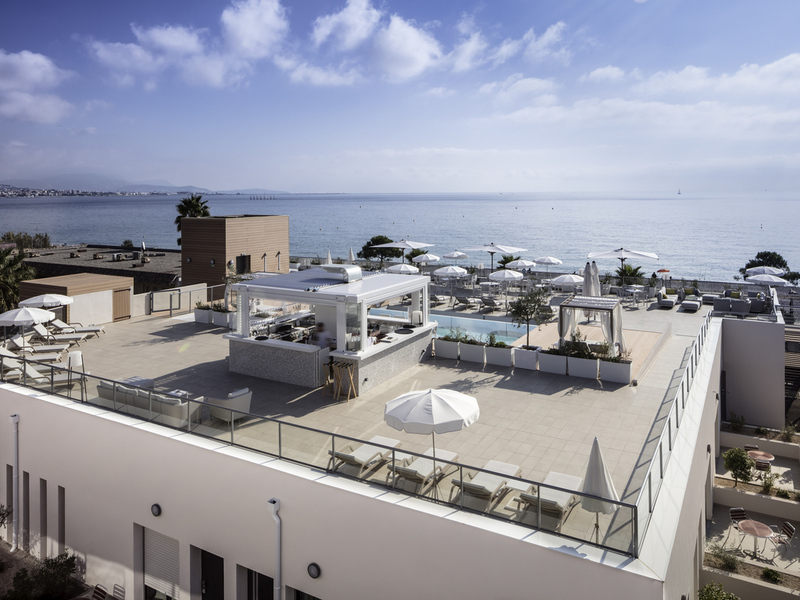 In the heart of the Côte d'Azur, the Mercure Villeneuve Loubet Plage hotel is in the prestigious district of Marina Baie des Anges, close to the port and right next to the beach. Escape to a waterfront hotel in a California-esque setting in the heart of the Côte d'Azur, between mountains and the sea and surrounded by palm trees. Our open-air restaurant, Les Terrasses du Syracuse, will be happy to serve dishes full of Mediterranean flavors around the pool in an extraordinary setting overlooking the sea. Get some refreshments from our bar while you relax by the swimming pool. Enjoy the sunset as it gives way to a starry sky in a lounge atmosphere while savoring our delicious cocktails.